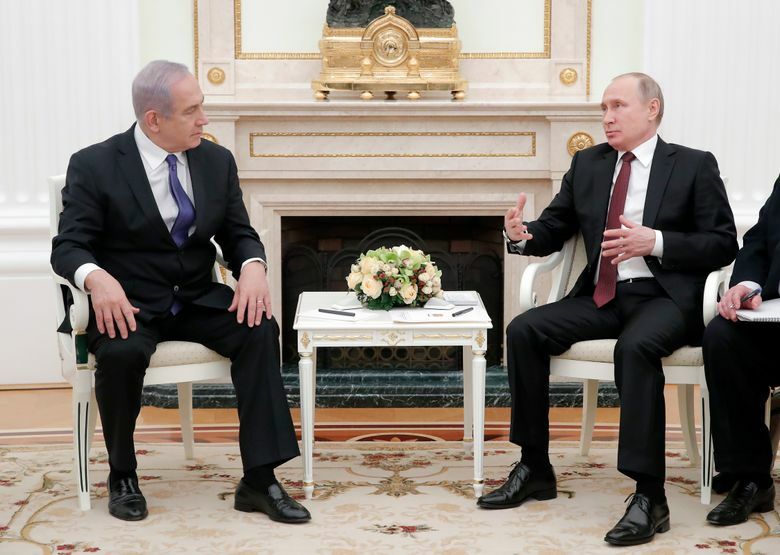 MOSCOW (AP) — Israel’s prime minister vowed Wednesday to prevent Iran from securing a lasting presence in Syria as he visited Moscow for talks focusing on regional security. 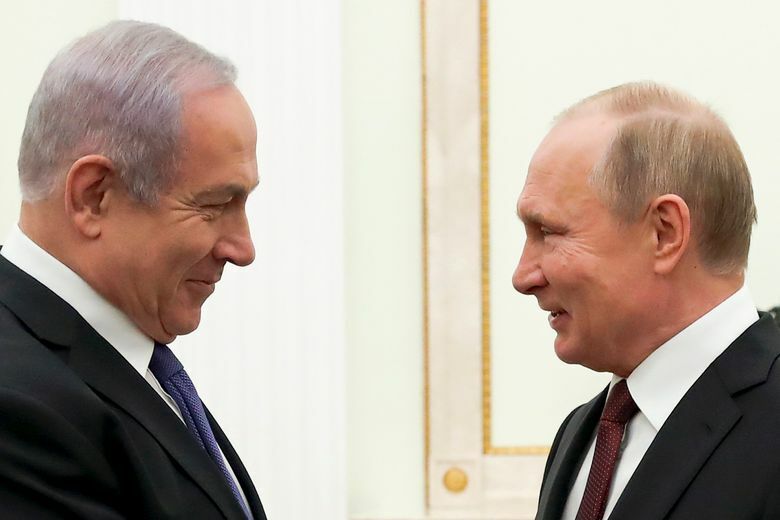 For Benjamin Netanyahu, it’s the first trip to Moscow since September’s downing of a Russian warplane by Syrian forces that were responding to an Israeli air strike. 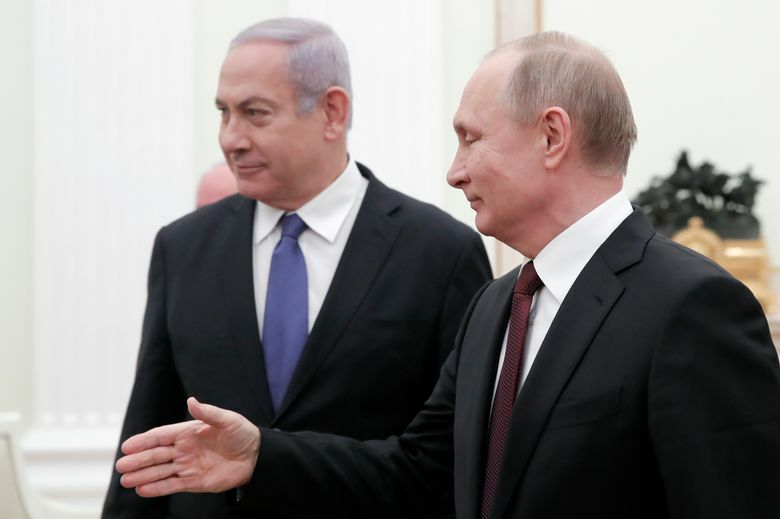 The incident left 15 Russian crew dead and threatened to derail close security ties between Russia and Israel. He added that the high-level consultations are essential in view of the evolving situation. 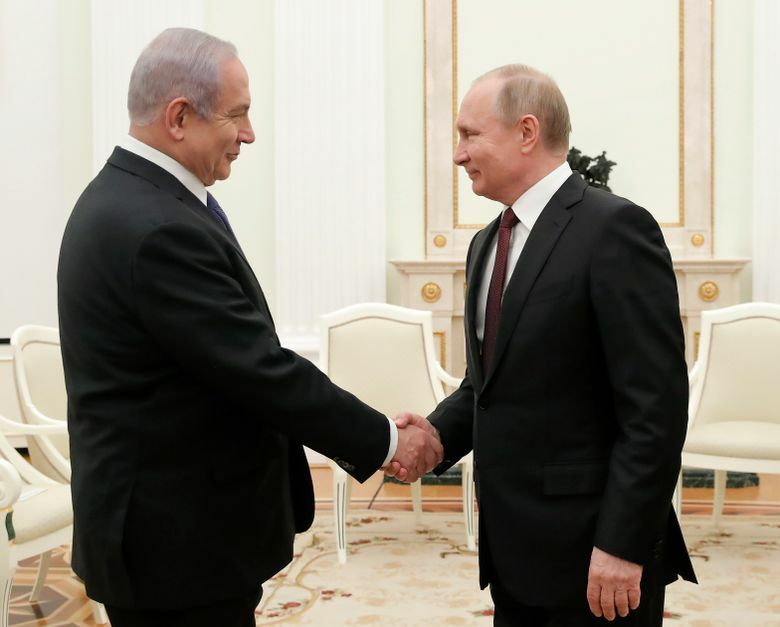 Netanyahu began the talks by reaffirming Israel’s strong determination to block attempts by Iran to establish a foothold in Syria. 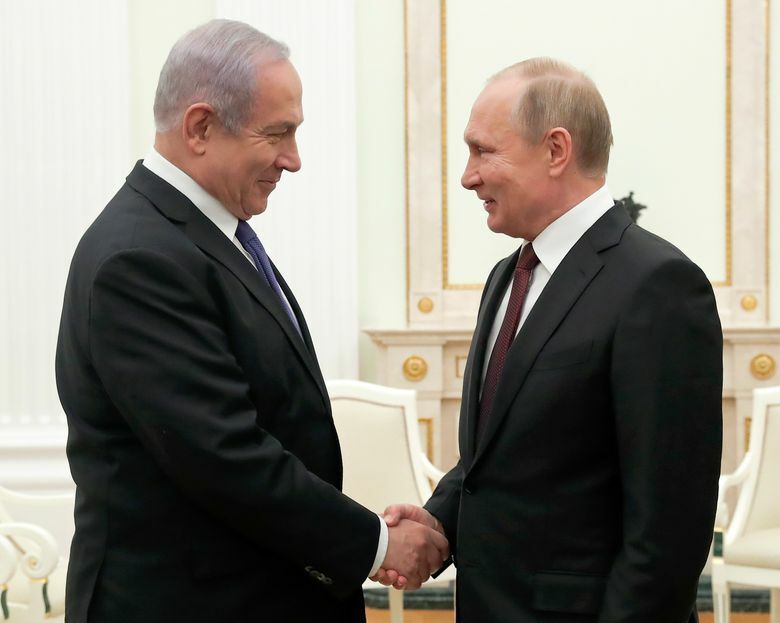 “The direct connection between us has been an essential element that has prevented risks and conflicts between our militaries, and that has contributed to regional security and stability,” the Israeli leader said. 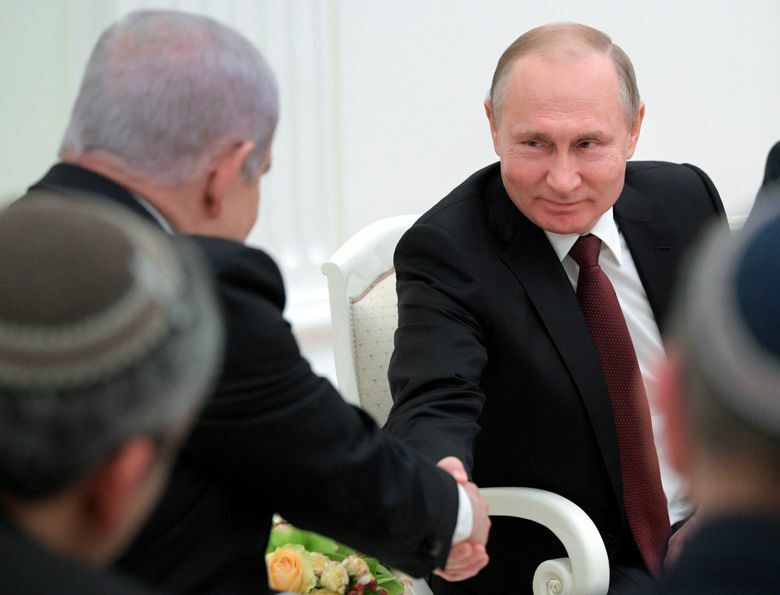 “We will never forget the role of Russia and the Red Army in the victory over the Nazis,” he said. 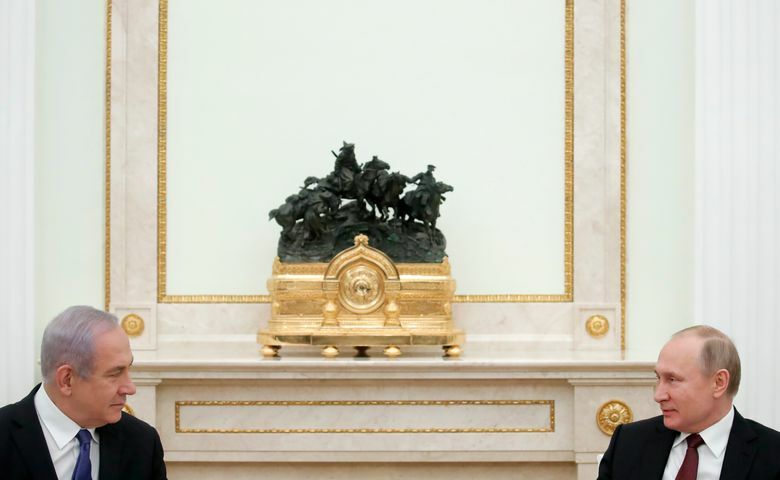 Putin, a native of the city, accepted the offer.